In this episode of Bookworm Banquet podcast, JD and Nicole share a review of their first non-fiction book so far. 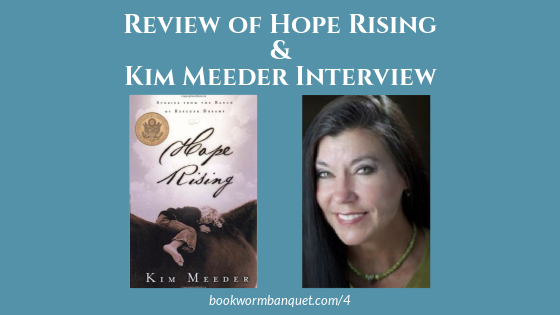 They review Kim Meeder's book Hope Rising: Stories from the Ranch of Rescued Dreams. 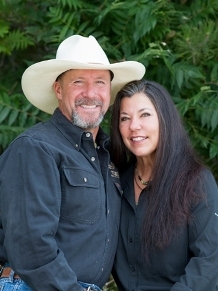 This is a book filled with stories of abused horses and broken children who interact at Kim Meeder's Ranch, Crystal Peaks Youth Ranch, and the resulting healing that happens for both the horses and the children. JD and Nicole also interview Kim Meeder about the book and her work at Crystal Peaks Youth Ranch. Nicole also brings you a Bookworm Fact and JD offers up a Bookworm Tip. And lastly, they respond to listener feedback. Thanks to the author for providing us with a free review copy of the book. Nicole's Bookworm Fact is about William Shakespeare. www.NoSweatShakespeare.com is a wealth of Shakespearean information; especially this article which discusses his influence on the English language. Listener Margie's review of Ballad of the Northland can be found here.